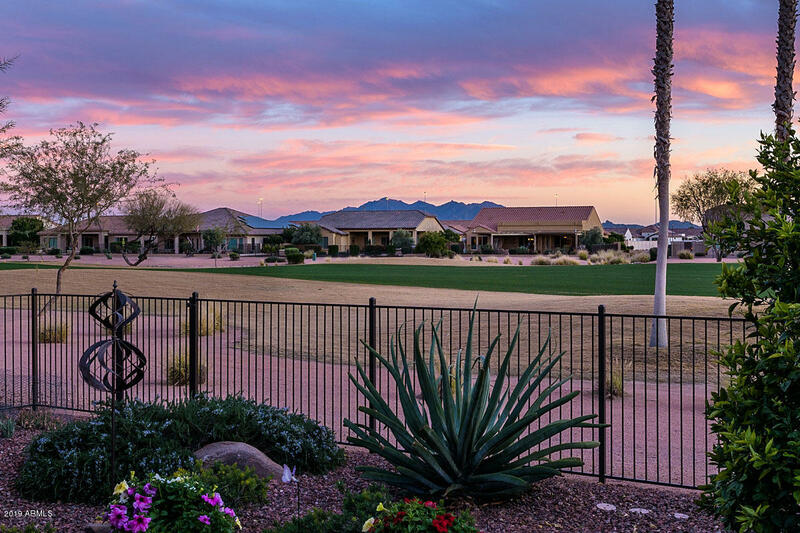 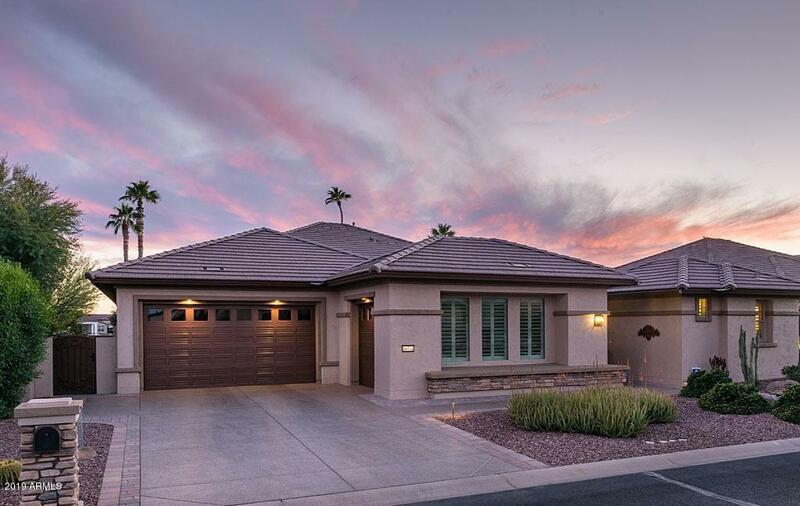 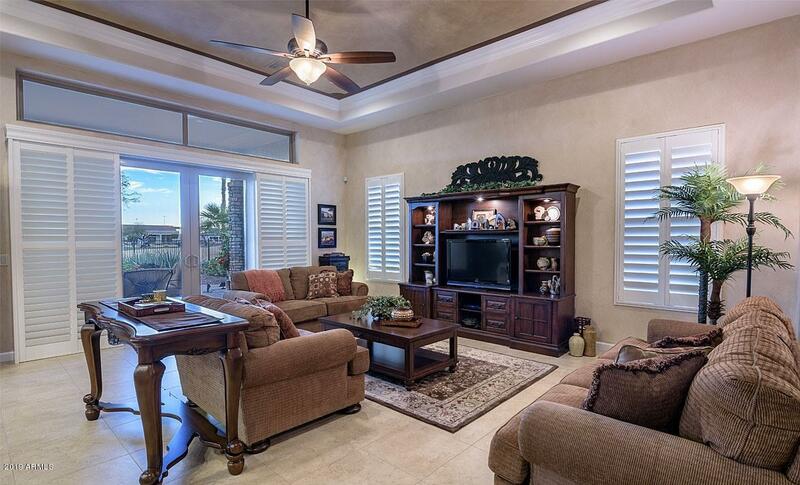 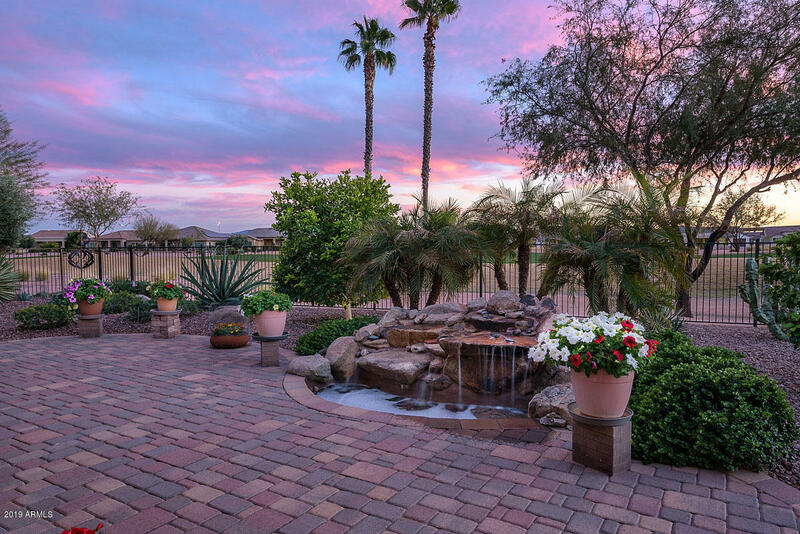 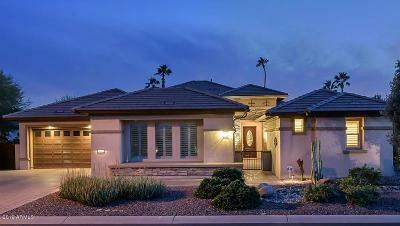 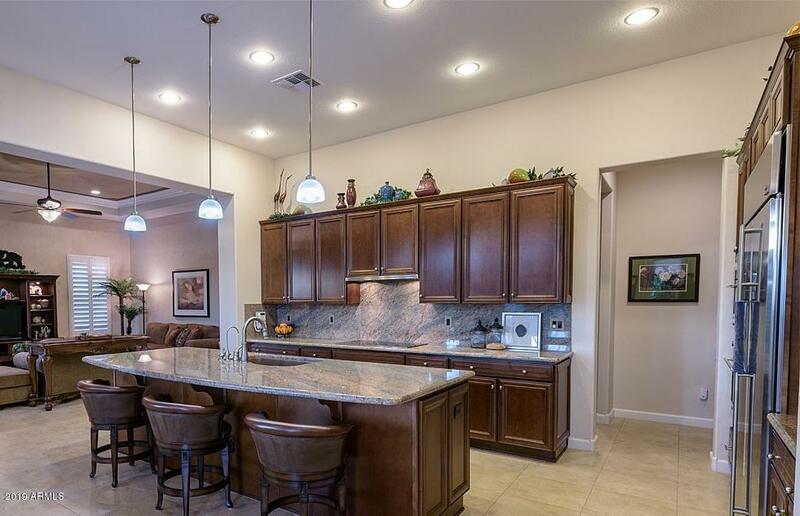 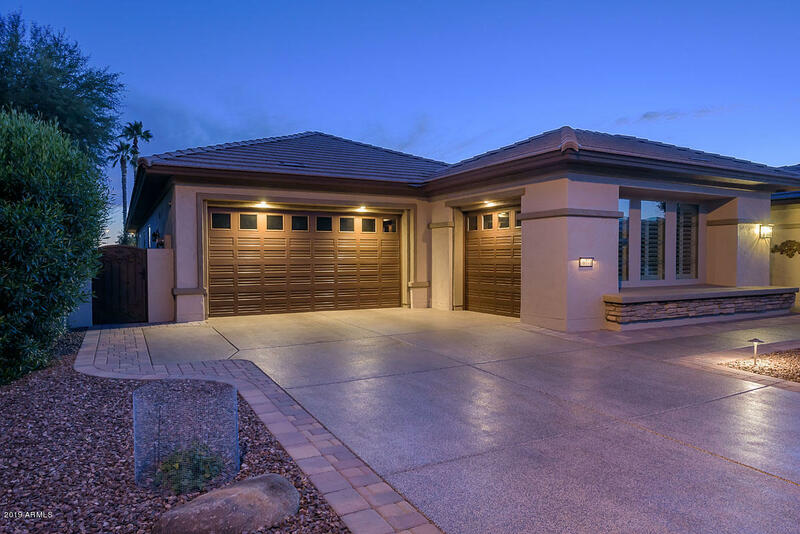 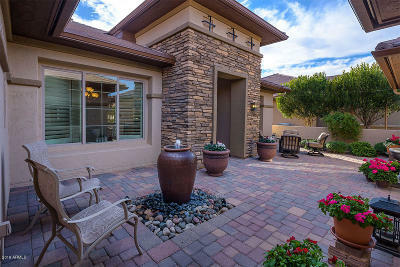 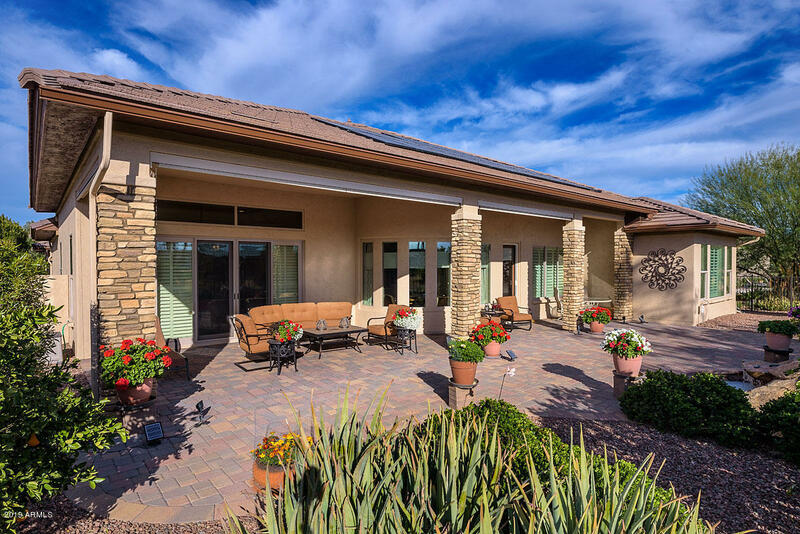 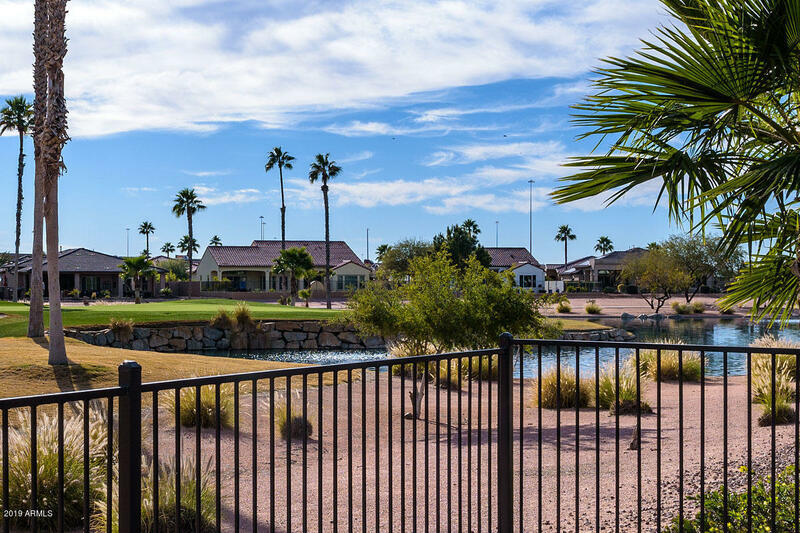 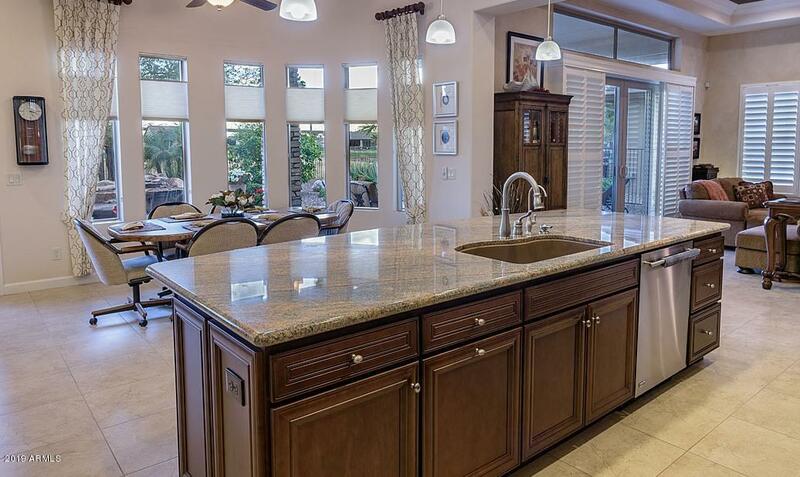 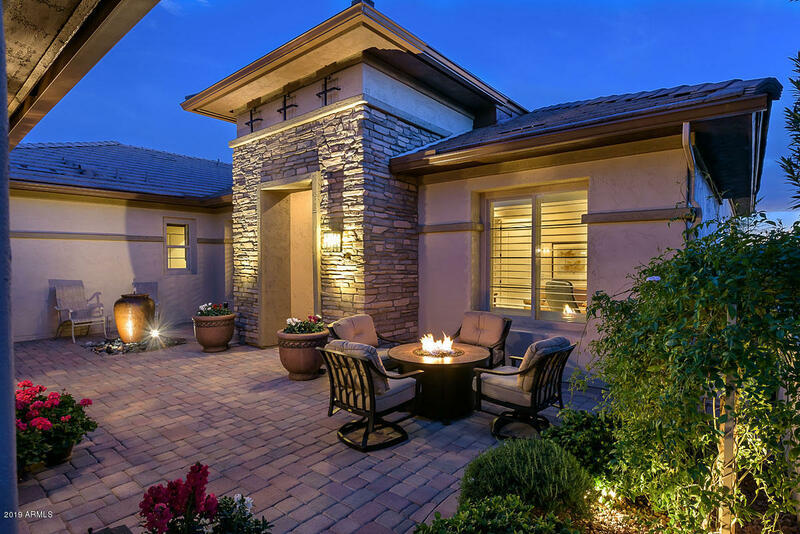 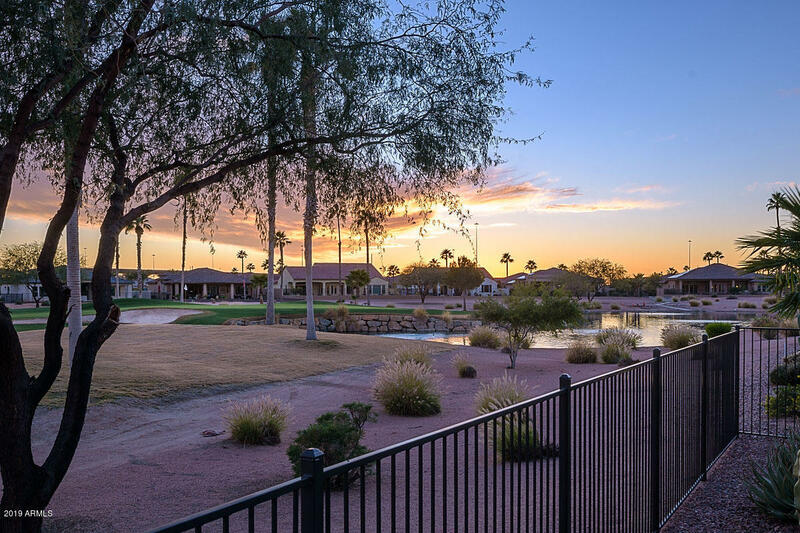 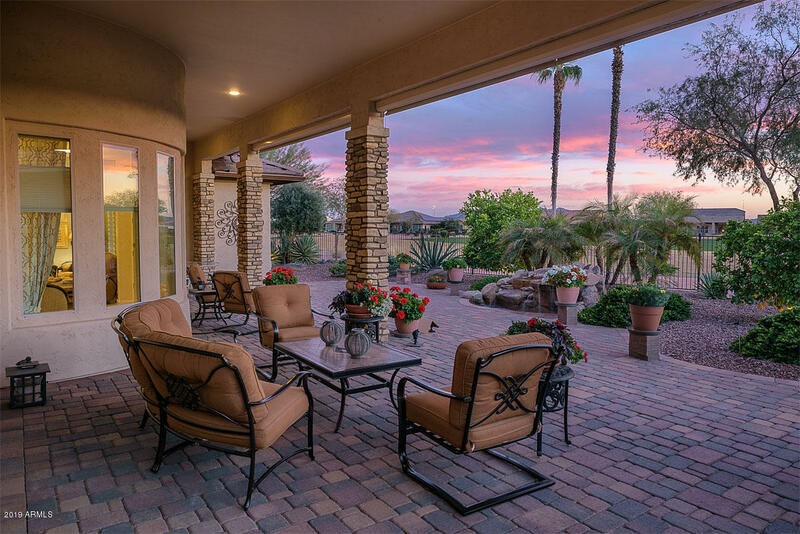 Exquisite Cristall with Guest Casita located on a premium lot; GOLF, WATER & MOUNTAIN VIEWS! 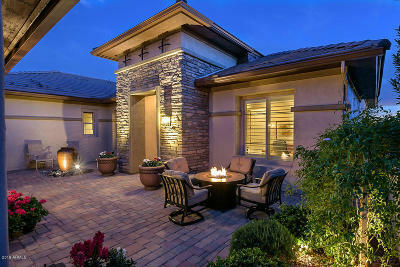 Sophisticated Luxury Estate home; designed with attention to every detail. 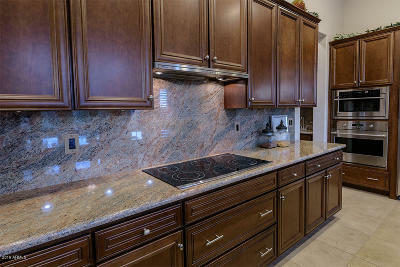 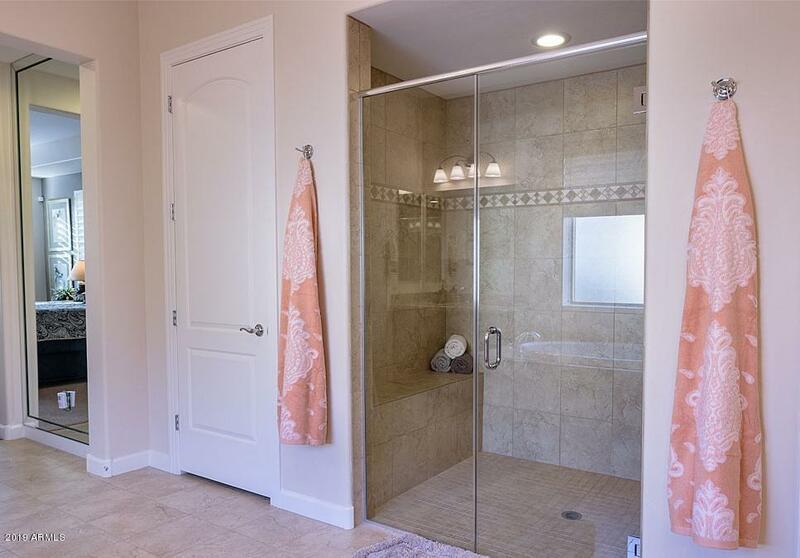 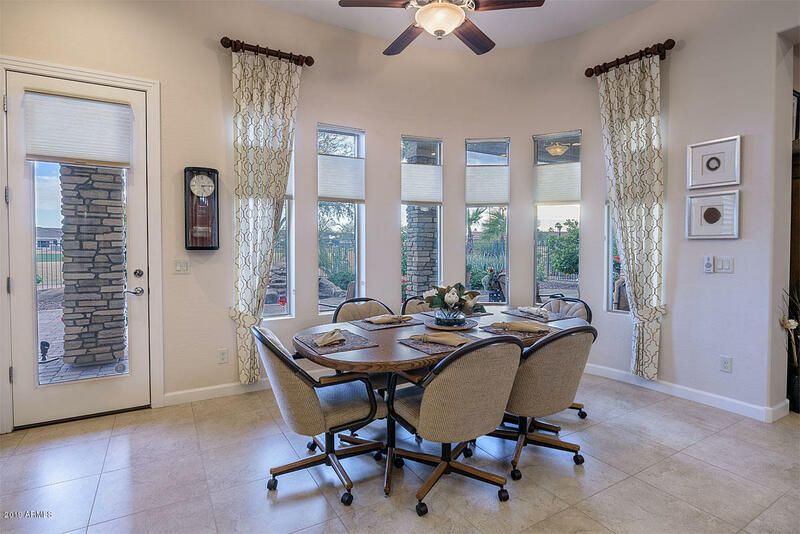 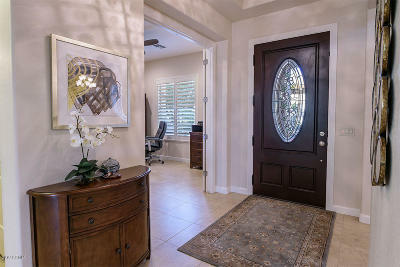 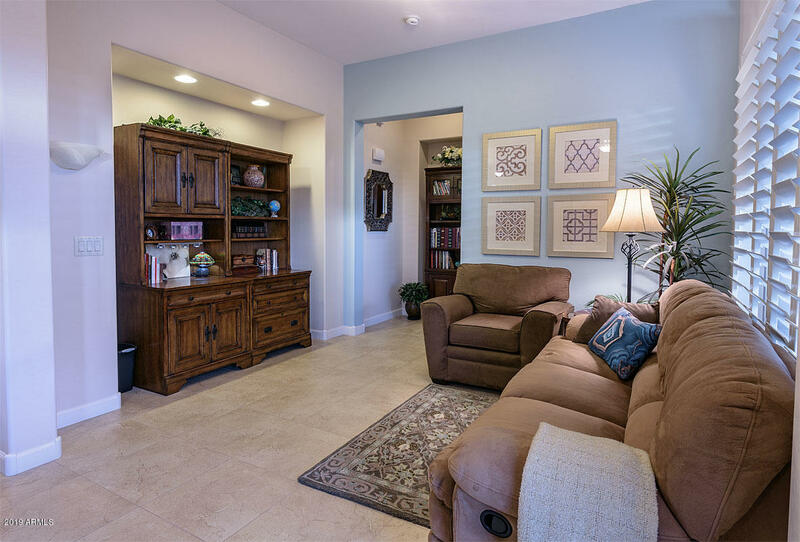 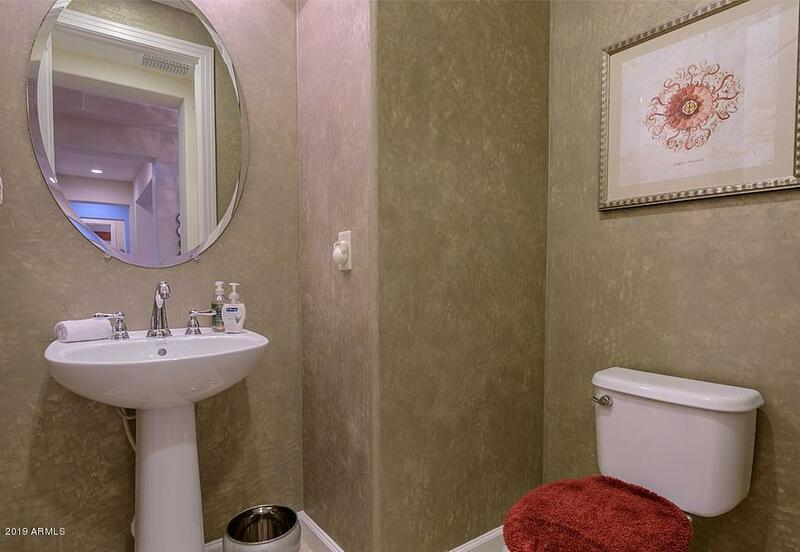 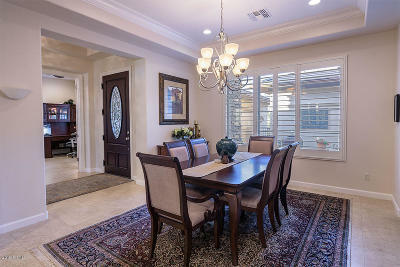 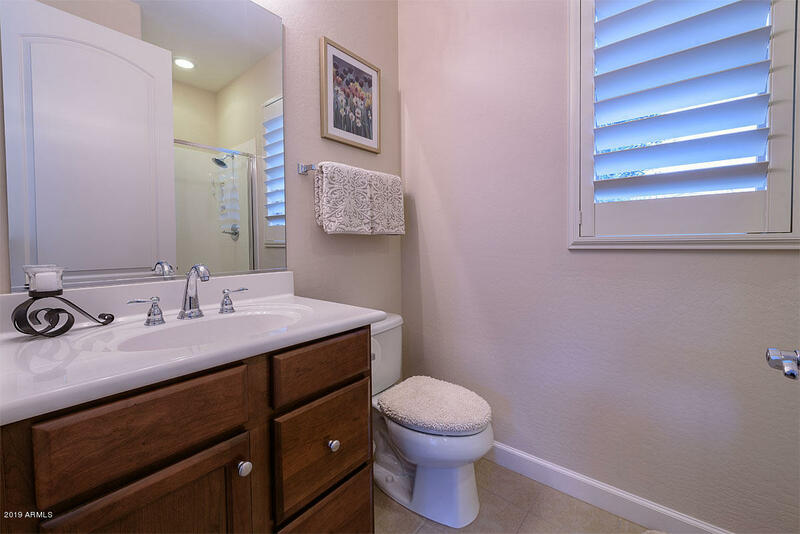 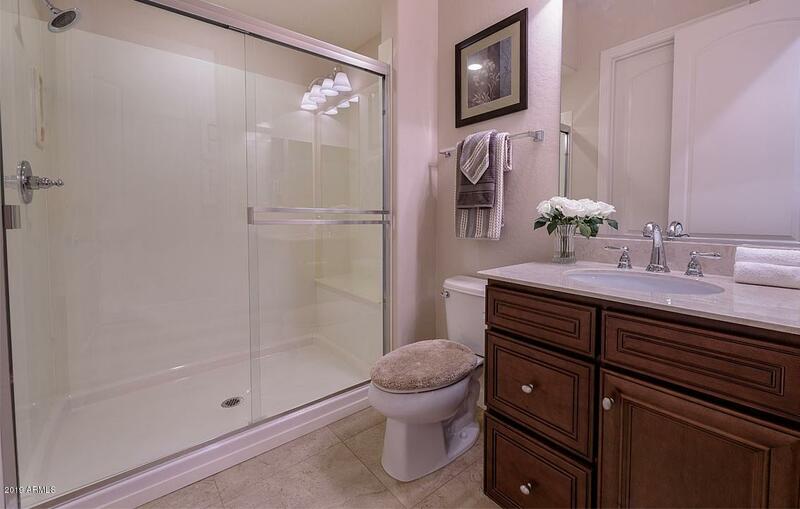 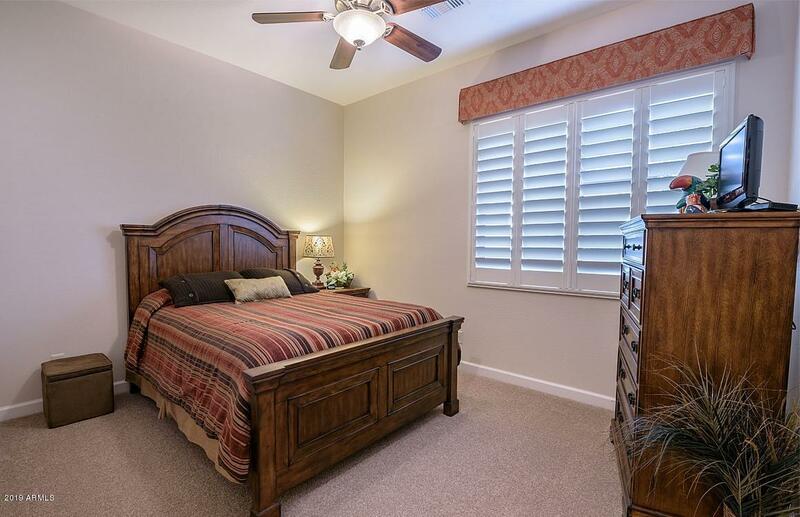 Open floor plan, spacious rooms, tall ceilings, & abundant upgrades. 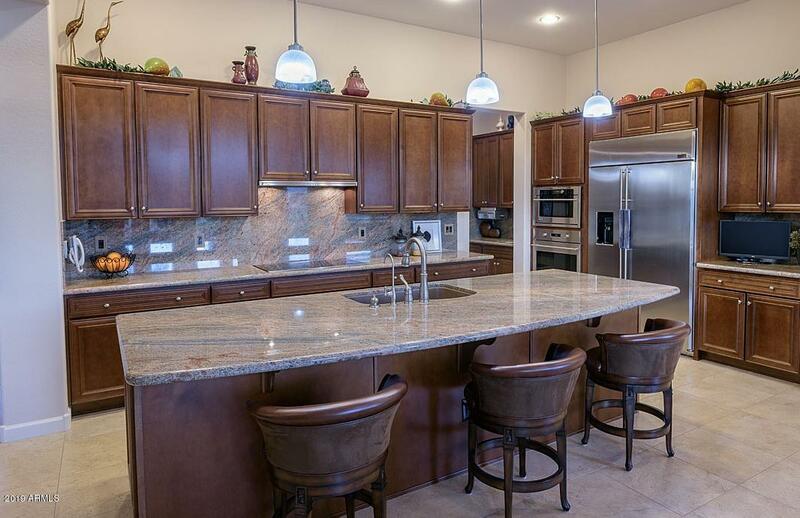 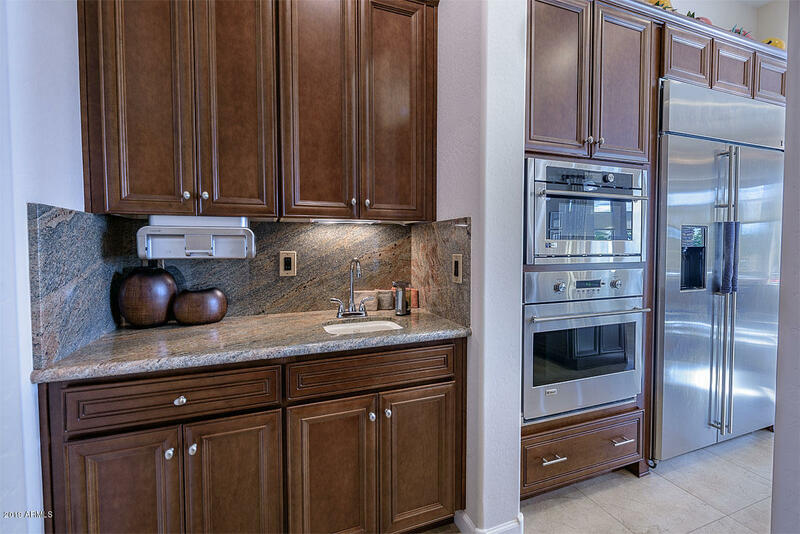 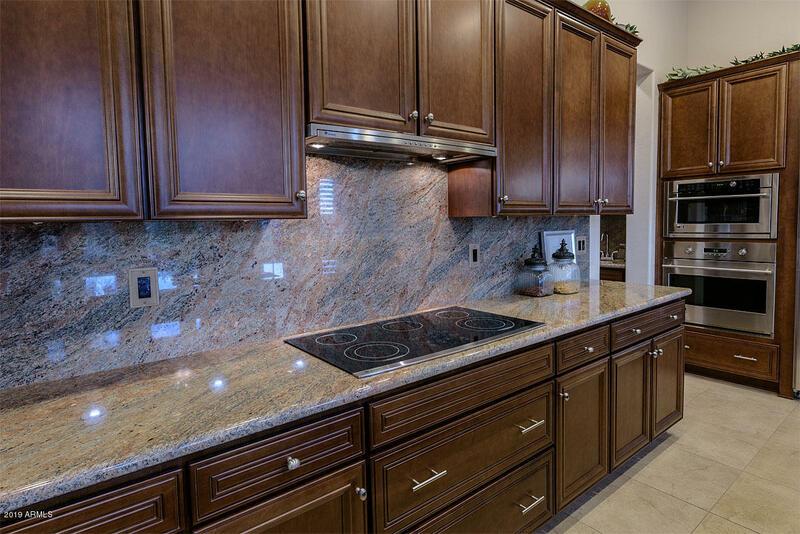 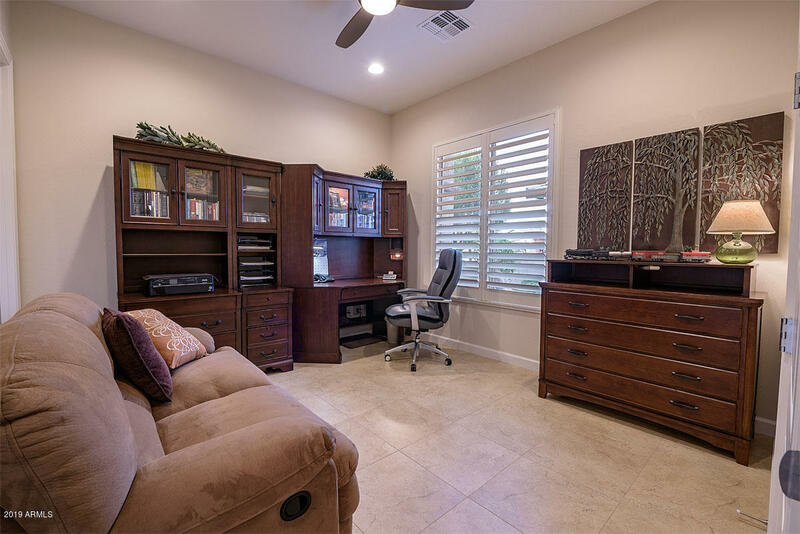 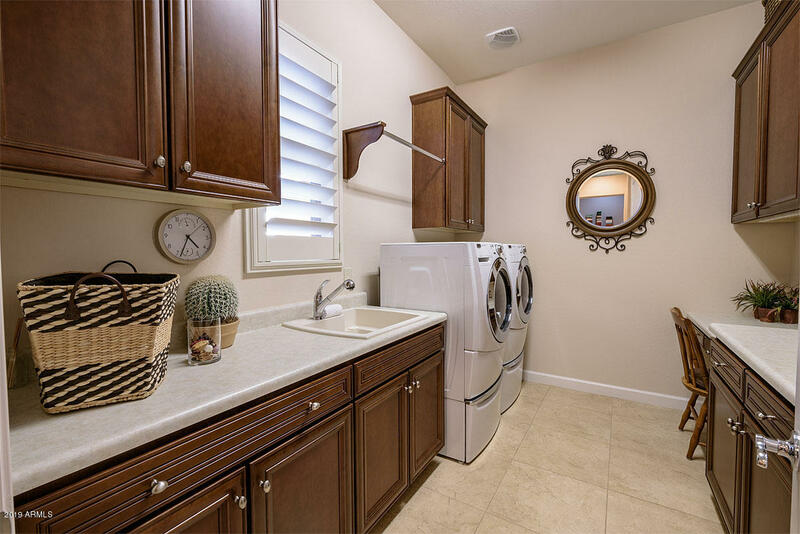 Fully upgraded kitchen features: upgraded cabinetry, slab granite counters, granite backsplash, high end Stainless Steel Appliances, GE Monogram built-in refrigerator, wall ovens, R/O water filtration system, wet bar, & huge walk-in pantry. 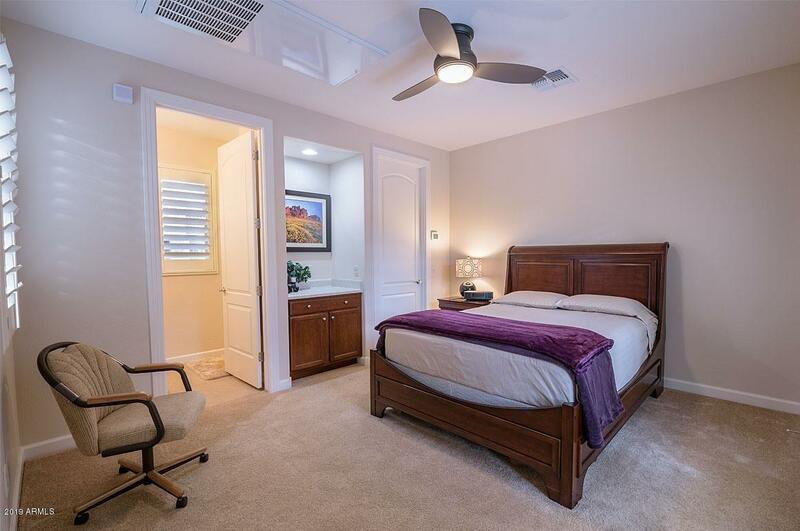 Large Master Bedroom is your private retreat featuring: stunning tray ceiling, & resort style bath with dual vanities, huge walk in shower, jetted soaking tub, & spacious closet. 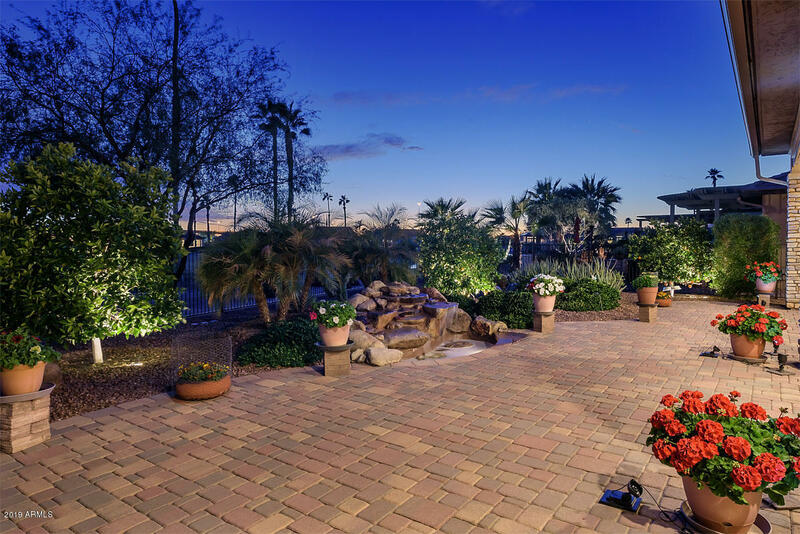 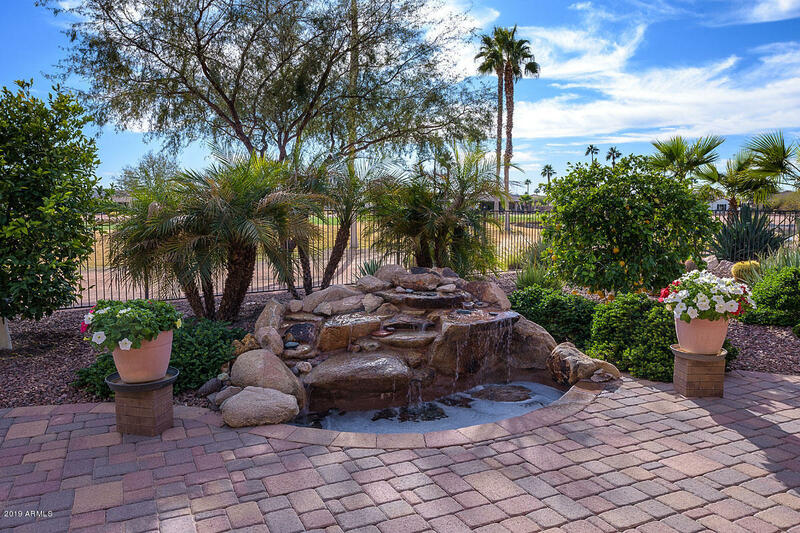 South facing backyard with pavers, water feature & fabulous view! 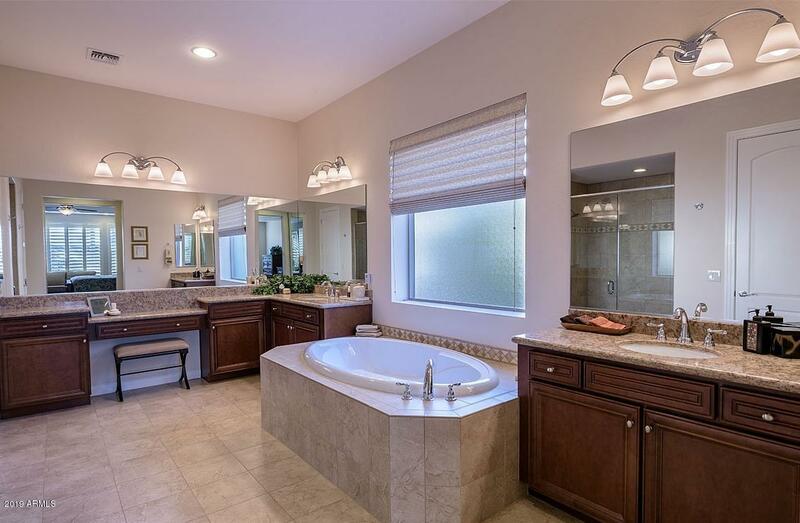 Too many upgrades to list: MUST SEE. Ready to Enjoy Now!